* Welcomes us to Las Vegas where we will win back the west. * What happens in Vegas must not stay in Vegas - what you hear and learn here, you need to take to your homes. * I'm a conservative, but I'm not in a bad move about it. I'm optimistic about the future and the conservative movement. * We have a challenge - Pres. Barack Obama had a 120% approval rating, according to MSNBC. He also had a 65% approval in all 57 states. * Freedom-loving Americans are on the march to win back the nation with their conservative ideals. Even Republicans in Congress have returned to the fight for fiscal discipline and limited government. * Three years ago, Republicans in Congress didn't just lose their majority, they lost their way. * Our party lost our principles, but we've found our way. Republicans are standing strong with unanimous opposition to big government and less freedoms. * We need to return our national government to the common sense and common values of everyday Americans. * Americans are out of work and Democrats are out of ideas. They said we needed to borrow billions to keep unemployment below 8% and now it's at 10%. * V. Pres. Joe Biden touts jobs 'created or saved,' but according to Bureau of Labor Statistics, that's not accurate. * American families don't want to rely on government's jobless benefits, they want jobs with benefits...and Democrats are offering only more borrowing, more spending and more deficits. * Spent $1.6 trillion in the first 8 months of the Obama presidency, according to their own numbers. * It is morally wrong to take the incomes of future Americans to pay for the problems of today. * Americans are saying enough is enough. We must make the hard choices today to deal with the problems of today. * Democrats have increased taxes by $670 billion. Their answer to problems is to raise taxes - and are talking about embracing the largest tax increase in American history: every income tax bracket in the country will increase as of January 1 if the Bush tax cuts expire. * Washington DC doesn't tax too little, it spends too much! * Only in DC would you find people who believe that increasing taxes in this economy will create jobs. * House Republicans will oppose the tax increase on every American with everything they've got. * Getting the economy moving again requires government to get out of control and out of the way and American will come roaring back. * Need to restore fiscal discipline by ending the era of takeovers and bailouts once and for all. * Americans deserve health reform that lowers their costs without growing the size of government. * Democrats may have had their say on the first Sunday in March, but Americans will have their say on the first Tuesday in November. * Republicans will not rest until we repeal this lock, stock and barrel. * If you want to repeal ObamaCare, you start by 'repealing' Nancy Pelosi in November. * And no more bailouts for insurance companies, banks, auto companies or socialist foreign nations. * The freedom to succeed must include the freedom to fail. * We must limit federal spending to no more than 20% of the nation's economy in the Constitution of the USA. 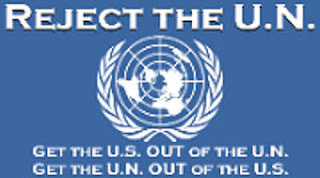 * If God can get by with 10%, Uncle Sam ought to be able to get by on 20%. * Our present crisis if not just economic and political, it is moral in nature. People in positions of authority have walked away from the principle of an honest day's work for an honest day's pay, and honesty in dealings with others - the golden rule. * This starts in our families, our churches and our communities. * We know what is at stake: the right to live and work in freedom. * This election is not about who will be in control in the House and Senate, but about who is in control of our nation. Now is the time for all of us to do what we can to promote the principles that make this nation great. * You will not fight alone. quote: Proclaim Liberty throughout all the land and unto all the inhabitants thereof. * The time has come to take our stand - the time for action is at hand. We must not be afraid but fight for the source of America's greatness: our faith in God and our freedom. * We will take the Congress back in 2010 and take the nation back in 2012, so help us God. 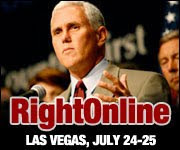 Tags: Americans for Prosperity, Mike Pence, RightOnline, Thurber's Thoughts To share or post to your site, click on "Post Link". Please mention / link to the ARRA News Service. Thanks!